Carter’s rings a bell for most families because of the children’s apparel it sells. It became more popular after it acquired its competitor, Oshkosh B’gosh. The company was named after its founder, William Carter. An English native, Carter went to America and established the company in 1865. However, the family sold the company in 1990. 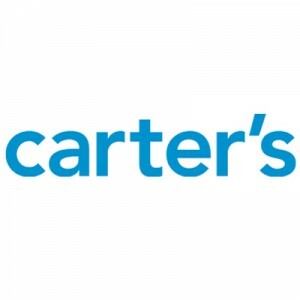 Carter’s ventures, particularly in acquiring competitors, had widened the company’s mileage. The children’s apparel company has more than 20 thousand employees (including part timers) at present. The company offers comprehensive benefits (and perks) to employees: a 401(k) retirement plan, education or training reimbursement, free beverages, paid holidays, life and disability insurance, and cellphone use. Employees appreciate that managers communicate clearly to their subordinates, and help them achieve professional growth. New hires are appreciated for their skills and contribution to the company. How old do you have to be to work at Carter’s? The company accepts applicants who are at least 16 years old. However, this only applies to entry-level positions. Applicants for managerial positions should be 18 years old at the time of employment. Many job vacancies are available at the company’s website. Passionate, smart, hardworking, and organized individuals may check out the jobs below and see if the descriptions and qualifications fit them. Junior Stylist: The Junior Stylist shall execute prop preparation and samples for the Stylist and act as photo assistant and/or stylist whenever necessary. He shall take various shots of clothes (styled on models or mannequins) daily. At the same time, he must tag or re-tag the items as they are photographed. The ideal candidate must know how to use MS office. Human Resource Coordinator for Retail: HR Coordinators are highly knowledgeable in Harassment Prevention, Code of Ethics, Meal Compliance, and Loss Prevention Awareness. He shall serve as the main point of contact for stores, especially when there’s a need to troubleshoot the Learning Management System. As coordinator, he shall help the HR team on investigations concerning labor laws, employee compliance, and other issues. Global Supply Chain Analyst: The tasks of a Supply Chain Analyst are engaging in project management, problem solving, and cross-functional solution development; developing high-level reporting; preparing timely presentations and prompt updates; and publishing weekly agendas. Applicants to this position must have a working knowledge of MS Office, excellent communication, analytical, and project management skills, and 2 to 4 years of supply chain experience. Associate Technical Designer: The Associate Technical Designer shall create product technical specification packages through the concept and bulk production stages. He shall also establish and maintain fit and construction standards for each product, ensuring that such measurements are consistent in all stores of Carter’s. Four years of manufacturing or technical experience is required in this job. QA Analyst: A QA Analyst is a detail-oriented, highly organized, hands-on, and results-oriented team player, who can perform the following tasks effectively and efficiently: reporting risks and quality issues to the QA Manager; developing QA estimates; analyzing and executing project guidelines; identifying defect severity; and preparing documentation, as needed. Call Center Administrative Coordinator: As coordinator, he shall act as resource to agents and answer queries concerning CSR policies and procedures. He shall also alert the management of issues that demand attention, escalation, or immediate resolution. At times he handles and completes special projects, as requested by the Admin Supervisor. Regional Director: The Regional Director is expected do these key functions: selecting, developing, and maintaining leaders in their stores; screening employee performance and providing feedback; make balanced and sound decisions to develop a stronger workforce; and analyze all KPIs for any discrepancies. Retail Supervisor: A Retail Supervisor is tasked to maintain a working knowledge of all retail policies and bulk processes; ensure that employees strictly adhere to these policies; assess each associate’s performance; and expedite held orders. He shall also perform other clerical duties as per the manager’s instructions. Payroll Processing Coordinator: The Payroll Processing Coordinator shall process, review, and reconcile the payroll accounts of over 13,000 employees. He shall also research, analyze, and communicate any payroll-related issues. He checks for the consistency in payroll processing practice by collaborating with outside vendors, managers, and peers. Payroll coordinators must be energetic, enthusiastic, optimistic, and proficient in MS Office. Sales Associate: The Sales Associate’s job is to resolve issues for customers and be their resource person regarding products. He shall assist customers in locating items and recommend a better fit. He also expedites the transaction and leads the customer to the cashier. On top of these, the Sales Associate must follow brand standards and help the team achieve profit goals. At the bottom of each webpage for specific job positions is an Apply Now button. This will lead applicants to a sign-in page, which they should accomplish first before filling out an online application form. Applicants may also visit select stores or the Atlanta headquarters for printed forms and accomplish them right then and there. Likewise, they may hand in their resumes upon filling out the forms. The online application form will ask for personal and basic details. Though it may seem unimportant given the information required, keep in mind that any mistake may lead to your application being rejected or skipped. Resumes don’t have to be fancy. What’s important is that they contain the same information as in the application forms. Moreover, all trainings, certifications, and previous job experience should be relevant to the job being applied for. The hiring process takes about a week, after which the applicant will be called for an interview. Although the interviews are not too formal and stiff, applicants are recommended to dress, look, and be their best. The company puts a premium on learning and development. It prides itself in honing its employees’ skills and encouraging them to take further steps in the retail industry. It also fosters a healthy relationship between the management and the staff. The company has recently acquired another of its competitors, Skip Hop Inc.—which specializes in infant gear and clothing. The acquired firm now offers a wide assortment of products, and even sells play mats and books. Carter’s has remained an iconic brand in the world of children’s apparel. Aside from being known for its legacy, it’s highly praised for successfully combining innovation and quality in its products. Carter’s has various programs designed to help the community. Some of the programs it hosts are the Pajama Program, which provides educational assistance to children, and Light the Night, a fundraising event for cancer research. 1 How old do you have to be to work at Carter’s?